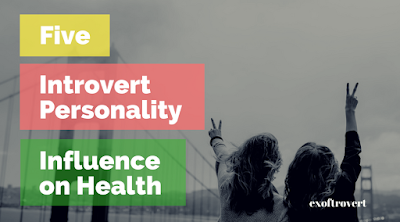 5 Introvert Personality Influence on Health - When do you feel most happy and excited? After partying with friends or after a calm and reflective day? If your answer is second, it is very likely that you belong to a person who tends to be introverted or closed, a person who does not really like crowds or social interactions and prefers to be alone. An introvert is often seen as shy, introspective or antisocial, but in reality is more complicated than that. Most people are not pure introverts or extroverts, but rather between them. Quoted from Kompas, this type of personality, according to experts, can affect both physical and mental health. 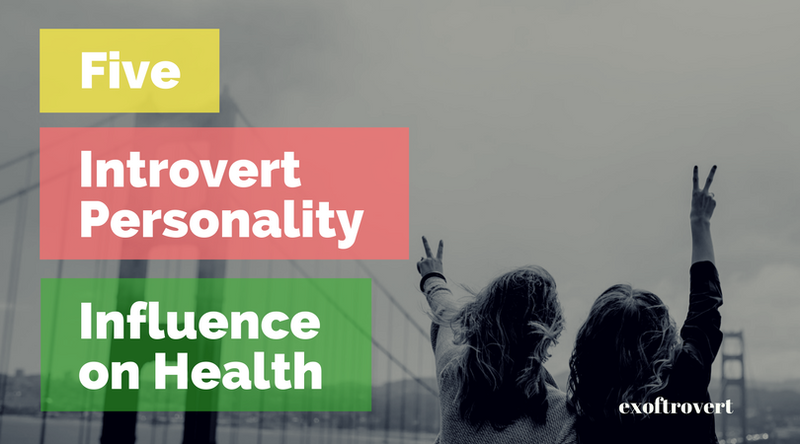 This is the influence of introverted personality on the health of the person concerned. "Introverts are easily stimulated by the environment, and if there are many events or crowds around them, they become stress-free," says Laurie Helgoe, PhD, assistant professor of psychology at Davis & Elkins College and author of Introvert Power. Not every introvert hates crowds, but most of them prefer to hang out with small groups of friends, as opposed to large groups or with close unknowns. Although not much like the crowd, but introvert people feel more comfortable if he is not included in a conversation at the party and do not feel should always "connect" with others. In this case, the introvert is very different from the tendency of extrovert people who often want to engage in every conversation, in order to express their opinions and tend to want to be familiar and accepted by many people. "Sure, introverts can also feel neglected but we can more easily neutralize those feelings," said Helgoe. Not everyone is introvert unhappy and not everyone who is unhappy is introverted. However, there is a relationship between the two. "There are some introverted characters that are associated with depression, and introverts tend to be more reflective and emotionally trapped in their reflections, and on the other hand, introverts are more realistic, seeing the problem as a whole not just capturing the happy stimuli," explains Helgoe. Research explains that extrovert people tend to be more easy going so overall happy. According to Helgoe, the introverted mood can turn into a moment's joy by imitating the extrovert's attitude. However, that is not a way out that can continue to be relied upon. "I think it would be more effective if we are introverted to realize that sometimes we are very protective with our safe zone, and not taking advantage of the situation to make ourselves happy," Helgoe said. People with open personalities have a stronger immune system than those with closed personalities, according to a study from the University of Nottingham and the University of California, Los Angeles. Extroverts tend to develop an excited genes of expression and these genes affect the power of the human immune system. In other words, joy can boost immunity while depression weakens it. In addition, allegedly extrovert people tend to be more exposed to bacteria or fungus because it mix with many people. As a result, their bodies are better trained against the source of the disease. An introvert is better able to overcome the negative effects of sleep deprivation than an extrovert, says research from the Walter Reed Army Institute in 2010. The researchers found, after waking for 36 hours (including 12 hours of socializing with friends), extroverts were more out of focus and less cautious than introverts. Socialization can be very tiring part of the brain that regulates concentration.